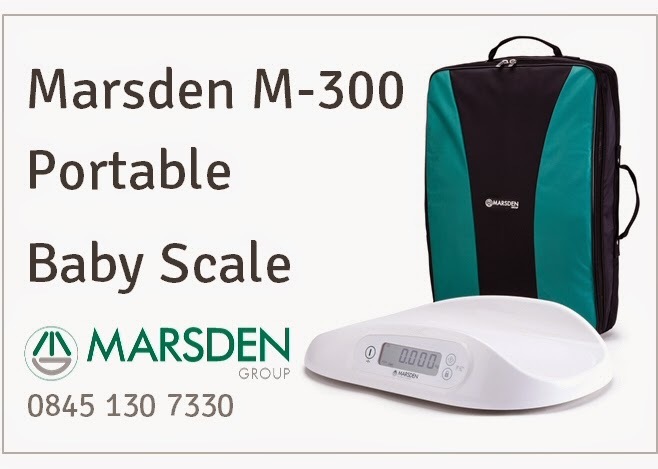 For anyone looking for paediatric scales, I can highly recommend you check out Marsden. Earlier in the year I began hunting for a suitable set, the last straw being a baby nearly 2 months old and not back at birthweight, who hadn't been weighed for 2 weeks prior to our visit. I asked around for recommendations, but I particularly wanted some manufactured in the UK and these seemed harder to track down. A search turned up Marsden, a company who have been manufacturing a wide variety of weighing equipment for 90 years. There's something reassuringly solid about a longstanding British company, so I dropped them an email and they recommended I check out the M-300. A couple more (rapidly answered) emails later and a set were winging their way to me. Something probably a lot more important to me than a clinic based practitioner was portability. The scales weigh 3kg, so they're easy as pie to transport - particularly in the backpack style carry bag. However they still feel sturdy compared to others I've used in the past (which have felt a bit like they might move if an older baby had a good wiggle), and the non slip feet also mean they're going nowhere. There is also a rather nifty built in spirit level at one side, and each foot can be twisted to raise or lower marginally; this means when using a range of surfaces you can always ensure the scale is level. The other obviously important factor is accuracy. The M-300 weighs in graduations of 2g up to 6kg and then 5g increments thereafter. A lot I looked at were only accurate to 10 or even 20g, which can make a big difference to a very small baby. They're super simple to use with two basic functions. 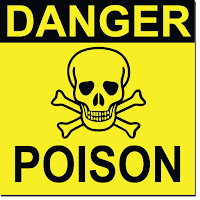 This is the one I think so many health professionals need to get to grips with. How often do we see a newborn baby stripped and placed on a piece of tissue on a cold scale flat on their back? The baby rather like a stranded beetle often fusses, wiggles and it's generally not a pleasant experience all round. I'm sure we've all been there with a wriggly baby, as the scale jumps up and down with each movement trying to wait for the split second baby is still enough to get an accurate reading. Using the hold function means you can lay baby on the scale, it will start weighing and beep when it has established a reading - you can then remove baby and the weight remains displayed on the screen. Lastly the one piece design makes them easy to clean, a very important feature when babies are involved - so there's no nooks and crannies for things to seep into. If I could add one more feature, it would be a conversion to pounds and ounces button. Lots of parents still work in "old money" and want to know what their baby weighs in imperial. Red books have a space for both and indeed there is a conversion chart in the back - however I see so many mistakes where someone has looked at the wrong line, so it would be handy if the scales took away this margin for error. I should add that medical grade scales legally have to measure in kg.